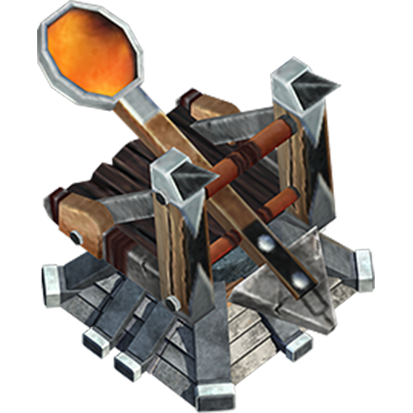 Destroy groups of troops with this powerful catapult of molten defense. The catapult deals splash damage to ground troops, keep it out of the way of flying troops though as they will tear it down. The catapult has a ‘blind’ radius near its core, so be sure to destroy attackers before they get too close.